The best soups have that natural flavor and real chunks of meat. 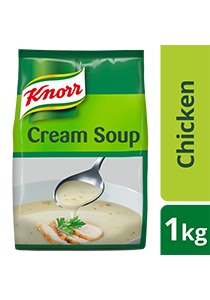 Made with real meat, Knorr Cream of Chicken is a high quality base that help minimize your food costs. Corn soup base. Ideal base for a variety of cream soups.